Texas currently has six Medicaid waivers that can serve children, and all of them are home and community based 1915(c) waivers. Five of these six waivers are based only on child income without regard to parent income. For a general overview of available services, see this list. This document compares the various programs. 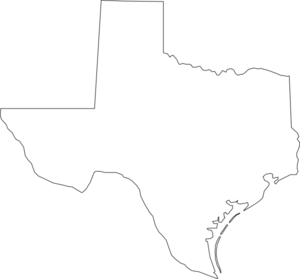 An independent site, Texas Medicaid Waivers Explained, also gives general information about the waiver process in Texas. Texas has shifted children in most waiver programs into managed care through an 1115 demonstration program. In addition, Texas began implementing the Community First Choice Option in 2015, which means it can no longer have waiting lists for attendant care for children who qualify for Medicaid. It appears that Texas is allowing some individuals on waiting lists for waivers to access this benefit. Texas also has an adult-only waiver program, Community Based Alternatives. Description from medicaid.gov: Provides respite, supported employment, financial management services, adaptive aids, employment assistance, flexible family support services, minor home modifications, transition assistance services for medically fragile individuals ages 0 – 20. How to Apply: Call 1-877-438-5658. Waiting List: There are 196,248 people with developmental disabilities and 19,221 children on Texas' waiting list. Target Population: Children and adults who are both deaf and blind and have multiple disabilities. Description from medicaid.gov: Provides case management, day habilitation, residential habilitation, respite, supported employment, prescribed drugs, financial management services, support consultation, adaptive aids and medical supplies, assisted living, audiology services, behavioral support services, chore service, dental treatment, dietary services, employment assistance, intervener, minor home modifications, nursing, occupational therapy services, orientation and mobility, physical therapy services, speech, hearing, and language therapy services, transition assistance services for individuals with DD, ages 0 - no max age. How to Apply: Call 877-438-5658 or contact your local office. Target Population: Children and adults who have developmental disabilities. Description from medicaid.gov: Provides adult day health, case management, prevocational, residential hab, respite, supported employment, adaptive aids/medical supplies, dental, OT, PT, prescriptions, skilled nursing, speech/hearing/language, FMS, support consultation, behavioral support, continued family services, minor home mods, specialized therapies, support family services, for persons with DD, ages 0 - no max age. How to Apply: Call 512-438-3234 or contact your local office. Description from medicaid.gov: Provides day habilitation, respite, supported employment, prescription medications, financial management services, support consultation, adaptive aids, audiology services, behavioral support, community support, dental treatment, dietary services, employment assistance, minor home modifications, nursing, occupational therapy services, physical therapy services, speech-language pathology individuals with ID/DD, ages 0 - no max age. Target Population: Children and adults who have developmental or intellectual disabilities. Description from medicaid.gov: Provides day habilitation, respite, supported employment, adaptive aids, audiology, occupational therapy, physical therapy, prescribed drugs, speech and language pathology, financial management services, support consultation, behavioral support, cognitive rehabilitation therapy, dental treatment, dietary services, employment assistance, minor home modifications, nursing, residential assistance (host home/companion care, supervised living, residential support services), social work, supported home living, transition assistance services for individuals with ID/DD, ages 0 - no max age. How to Apply: Contact your local office. Target Population: Children who have a serious emotional disturbance. Description from medicaid.gov: Provides respite, supported employment, adaptive aids and supports, community living supports (CLS), employment assistance, family supports, minor home modifications, non-medical transportation, paraprofessional services, specialized therapies, supportive family-based alternatives, transitional services for individuals with SED, ages 3-18. How to Apply: Contact your County Local Mental Health Authority.